OS X’s clipboard has always been a transient storage place, intended to hold whatever you copy or cut just long enough to paste it somewhere else. Once you copy something else, that new snippet overwrites whatever’s already on your clipboard. And if you restart your Mac, you lose whatever was on the clipboard beforehand. But what if you had something important on the clipboard but forgot to paste it, and then copied something else? What if you want to copy several things and then paste each of them multiple times? What if you want to preserve what’s on your clipboard past a restart? And what if you copied something in one format but want to paste it in a different format—for example, removing text formatting or changing capitalization? You need a clipboard manager. Our recommendation, Copy'em Paste, shows its history in a resizable window that you can call up with a click or keystroke. Using a pop-up menu at the bottom, you can transform text as you paste it. A clipboard manager is a utility that runs in the background, keeps a history of what has been on your clipboard, and lets you paste things you copied hours or days ago. Some clipboard managers have spiffy additional features, too. In the four years since Macworld last looked at clipboard managers, new contenders have appeared and some old favorites have fallen by the wayside. PTHPasteboard Pro, my go-to choice for many years, is not fully compatible with Yosemite and is no longer for sale. Several other utilities we covered previously haven’t been updated in years. On the other hand, do a search for “clipboard” in the Mac App Store and you’ll find dozens upon dozens of newer utilities. For this roundup, I narrowed the choices down to six top contenders: Jérémy Marchand’s Clipboard Center ($5), Apprywhere’s Copy’em Paste ($5), FIPLAB’s CopyClip (free), maxbor’s CopyLess ($5), Plum Amazing’s CopyPaste Pro ($30), and Chronos’ iClipboard ($30). I also looked at four launcher utilities and a macro utility, all of which have clipboard management features—more on those in a moment. The basic task of a clipboard manager is to maintain a clipboard history. CopyLess limits you to the last 100 items, CopyClip lets you store 230, CopyPaste Pro goes up to 999, and the others can store as many as you like. You can generally set an arbitrary limit in order to preserve disk space and improve performance. But even the lowest limit should be fine for most people. I don’t think I’ve ever needed to go further back than 100 items. 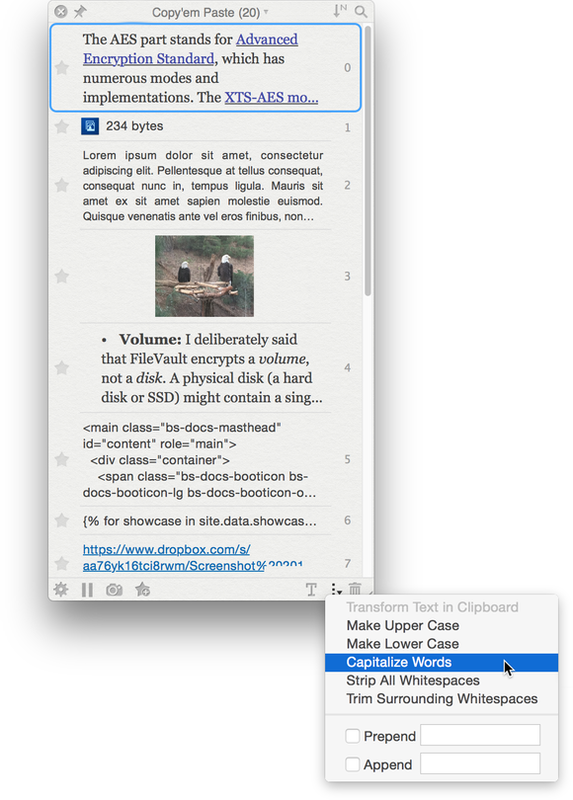 Clipboard Center (shown), CopyPaste Pro, and iClipboard can merge clipped snippets together, pasting them as a group. When it comes time to paste a previous clipboard entry, you invoke the clipboard manager, typically by clicking a system-wide menu or by pressing a keyboard shortcut that displays a floating window listing recent clipboard entries. Which display format your clipboard manager uses is a matter of personal preference. (iClipboard has an arrangement for every taste, giving you a menu, a pop-out drawer, a Dock menu, and a browser that’s much like the Command-Tab app switcher.) From there, you use your mouse, arrow keys, or further keyboard shortcuts to select an item and paste it. 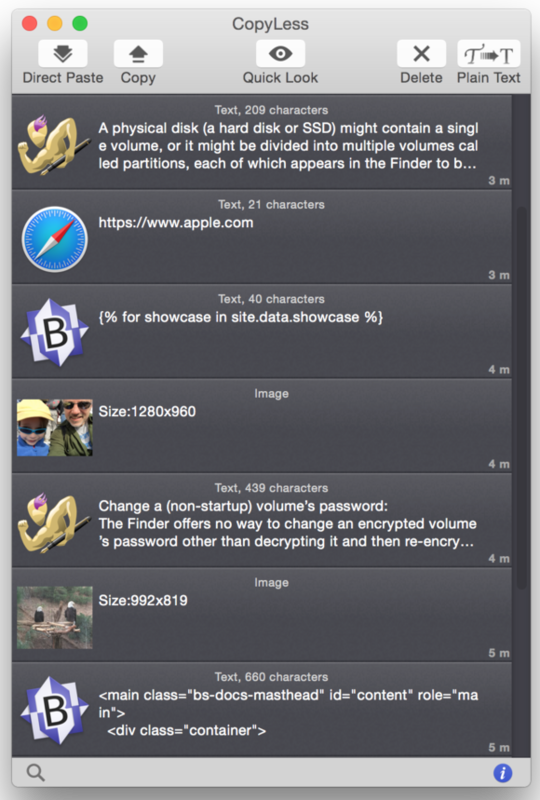 All the clipboard managers I tested include a search feature, too. Some utilities let you transform a clipboard’s contents as you paste. The most common option is to strip out text formatting, using either a special keystroke or a menu command. But in CopyClip, you can specify plain vs. formatted text only as a global preference, rather than deciding as you go as with the other apps. Copy’em Paste, CopyPaste Pro, and iClipboard let you change text case (uppercase, lowercase, or title case) among other transformations. However, just as CopyClip makes plain/formatted text pasting a global preference, iClipboard does the same thing for transformations like capitalization and stripping white space. That seems odd to me, because each of these text alterations is highly context-dependent. 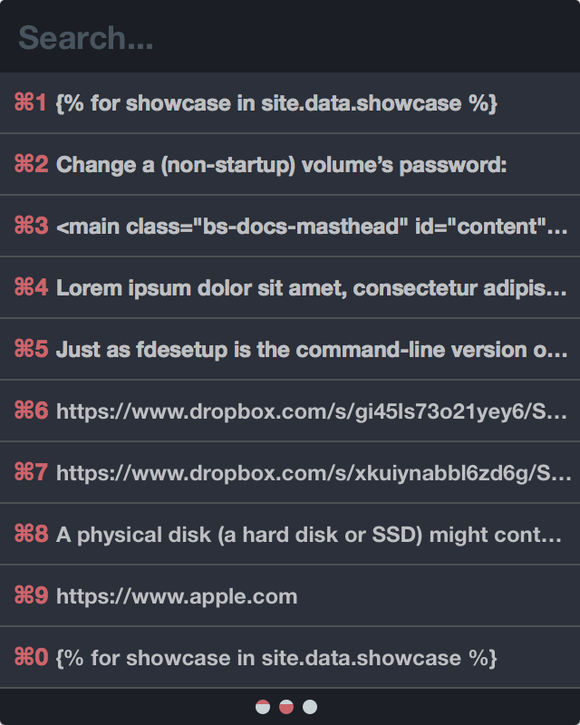 CopyLess has a nice interface—I like how you can see which application each snippet was copied from. You may copy something you want to paste over and over again in the future. All these utilities have some way of letting you mark such an item as a favorite, adding it to a permanent list (separate from the rolling list of recent entries) that you can access with a keystroke, click, or search. In addition, Clipboard Center, CopyPaste Pro, and iClipboard allow you to merge clipboard items together, pasting more than one in a single action. When you quit you clipboard manager and reopen it, or restart your Mac, you may want it to keep your history. All six apps let you do this, at least optionally. 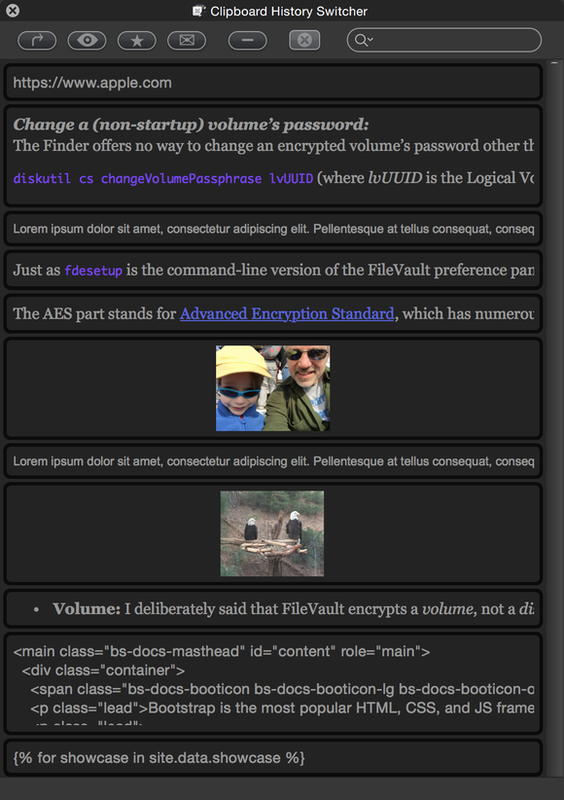 (Some people may prefer to clear all their clipboards on restart for security reasons.) 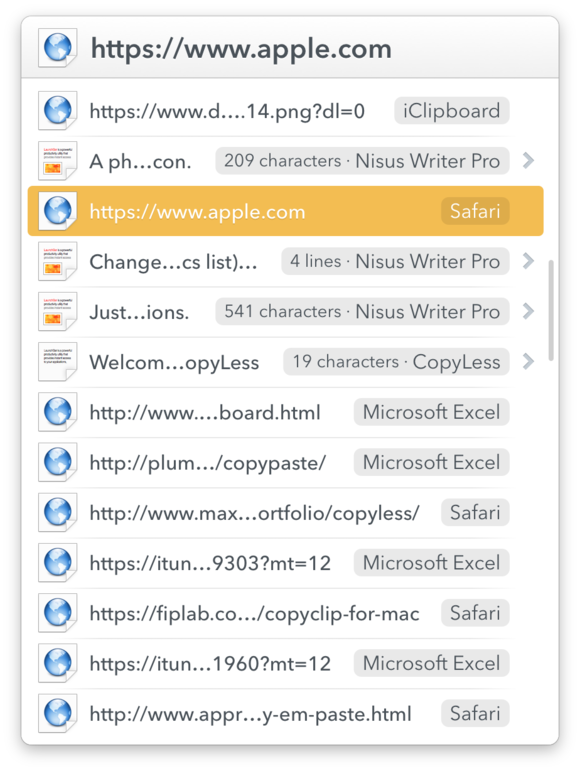 Speaking of security, all the utilities I tested except CopyPaste Pro let you exclude certain apps from your clipboard history—for example, if you copy a password from 1Password, you may not want it sticking around indefinitely in your clipboard manager. 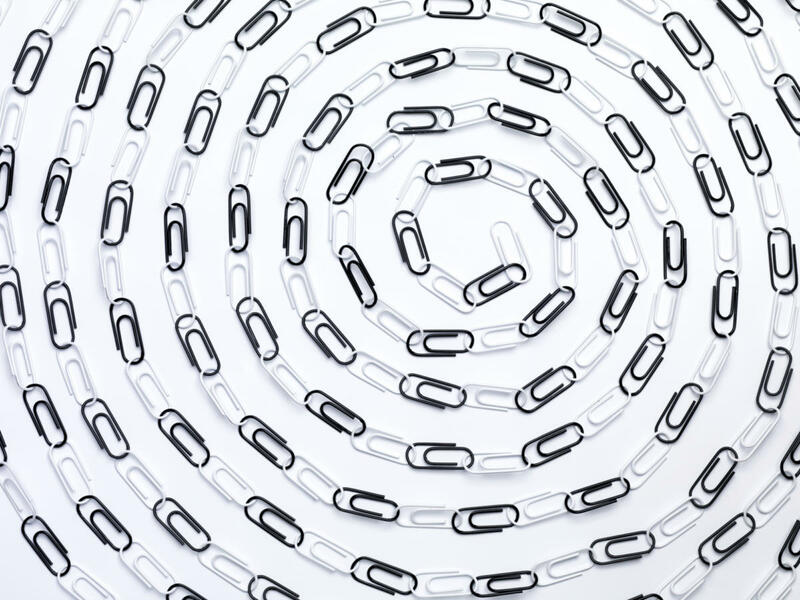 CopyClip is free, but it doesn't have a lot of extra features. Three of the clipboard managers—Copy’em Paste, CopyPaste Pro, and iClipboard—let you edit the contents of any item in your clipboard history (CopyPaste Pro uses TextEdit; the other two have built-in editors). That’s handy if you plan to paste something numerous times but what you copied isn’t quite right. Although every one of these clipboard utilities got the job done, if I had to pick just one, it would be Copy’em Paste. It has a simple, unobtrusive interface and nearly every desirable clipboard management feature, yet at one-sixth the cost of CopyPaste Pro or iClipboard. But wait! You may already have a different sort of utility running on your Mac that includes adequate clipboard management features. 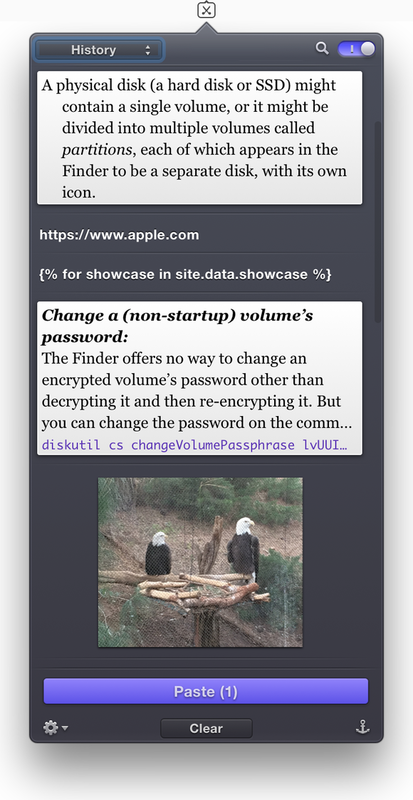 Clipboard histories are available in Alfred (with the optional £17 Powerpack), Butler ($20), LaunchBar ($29), and Quicksilver (with the optional, free Clipboard Plugin). Although none of these launchers has all the clipboard-related bells and whistles of dedicated clipboard managers, they come fairly close, with the advantage that you can use many of the same keyboard shortcuts you’re already accustomed to. Of these, I personally prefer LaunchBar, although its clipboard history display doesn’t show graphics, as do Butler and Quicksilver. Although LaunchBar's optional clipboard history display doesn't show graphics (or even much text), you can press the Spacebar to preview any item in Quick Look before pasting it. There’s one final option, however, and it’s what I’ve settled on for my own clipboard management: Stairways Software’s $36 macro utility Keyboard Maestro. Keyboard Maestro is designed for automating repetitive tasks, but like the launcher utilities, it includes clipboard features too, with a history of up to 99 previous items. In fact, it includes virtually every clipboard management feature I’ve mentioned so far. (A couple of exceptions: It doesn’t let you search items in your history, and doesn’t have a way to exclude apps from your clipboard history—but it can automatically detect and hide passwords, which serves essentially the same purpose.) Because Keyboard Maestro is a macro utility, you can perform elaborate filtering on clipboard contents as you paste them, assign any keystroke you like to any activity, and integrate current and previous clipboards with other automation tasks. Assign any keystroke you like to Keyboard Maestro's Clipboard History Switcher, which displays both styled text and graphics. If you want a solid, full-featured clipboard manager (and nothing else) at a great price, Copy’em Paste is a good bet. For a combined launcher and clipboard manager, LaunchBar gets the nod. Keyboard Maestro is overkill if all you want is clipboard management, but as an all-purpose geek tool, it’s outstanding—and it just happens to have the most flexible clipboard tools of any app I tested. But for the basic task of maintaining a persistent clipboard history, any app mentioned here will do the trick.